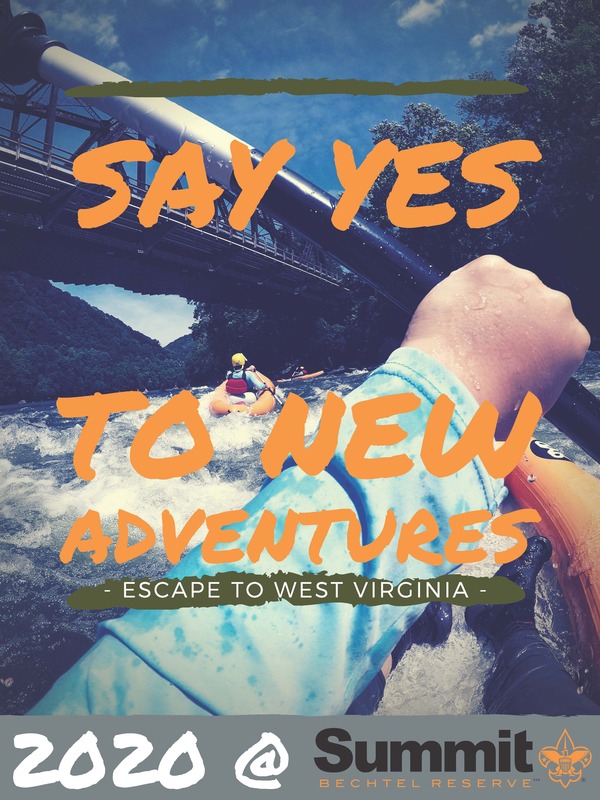 The Christen National High Adventures continues the BSA tradition of outstanding high adventure experiences that build confidence through challenge, character through adversity, and caring through connection with others and with nature. Moraine Trails Council has chosen a week-long river adventure. This is a 50-mile paddle trek on the West Virginia’s New River. For four days, you will navigate the upper portion of the river in inflatable kayaks (one or two-man) called “duckies”. This portion of the river includes Class I to III rapids. The final whitewater day in the Lower Canyon is a rafting experience and includes Class III to V rapids. Crews camp along the river through the New River Gorge in different locations each night. A gear boat (raft) accompanies the group to transport gear and food.